Security forces in Yemen have killed 21 protestors at a sit-in demonstration in Taiz. 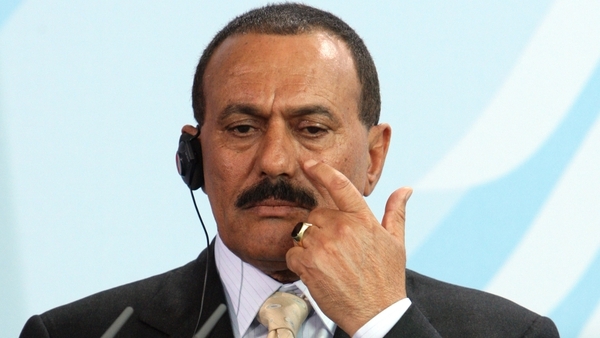 Security service agents backed by army and Republican Guards stormed the protest against President Ali Abdullah Saleh in the city's Freedom Square, shooting at demonstrators and setting fire to their tents, protestors said. 'At least 20 protestors have been killed,' one protest organiser said. Another protestor was killed late yesterday when police and Republican Guards opened fire to prevent dozens of demonstrators from returning to the square, a protestor said. The four-month-old sit-in in Taiz, south of capital Sanaa, was the longest-running protest against Saleh's rule. Troops backed by tanks also stormed a field hospital and detained 37 of the wounded receiving treatment there, among hundreds rounded up as security forces pursued the protestors into nearby streets, medics and organisers said. 'This was a massacre. The situation is miserable. They have dragged the wounded off to detention centres from the streets,' activist Bushra al-Maqtari told AFP. Protestors said the square had been entirely cleared in Sunday's raid, while security forces stormed a nearby hotel and arrested several journalists. The official news agency SANA reported that Saleh met Sunday night the military leaders who remained loyal to him, calling them to 'strongly resist and respond to the challenges’ posed to him by ‘law-breakers and corrupt', referring to the protestors. Saleh refused last week to sign an agreement prepared for his departure by the oil-rich Arab monarchies of the Gulf. The clashes erupted late on Sunday outside a police station near the Freedom Square protest site as around 3,000 people gathered to demand the release of a detained protestor. Police then fired warning shots into the crowd when the demonstrators refused to leave, a local committee of the 'Youth of the Revolution' group said. On 18 March, 52 people died when regime loyalists attempted to break up a similar protest against Saleh's rule in University Square in Sanaa. The president declared a state of emergency after the bloodshed. More than 200 demonstrators have been killed since the protests first erupted in late January in Yemen. Scores more have died in armed clashes between loyalist troops and dissident tribesmen. In the south, suspected al-Qaeda militants killed six Yemeni soldiers: two in Zinjibar yesterday, an army officer said, and four more in an overnight ambush of a military convoy near the city, according to a security official. At least seven soldiers were wounded in the ambush, a medic said. As the army fought to regain the city, one militant was reported killed by a shell which crashed near Zinjibar's museum and another wounded.